Vector Control is responsible for the surveillance and control programs specific vectors to protect residents for health risks and assist them with intolerable nuisance pest problems. 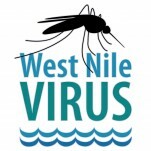 Middlesex Township will be notified directly when mosquitoes are tested West Nile Positive. Results are posted daily by 2 pm on the DEP West Nile Webpage. 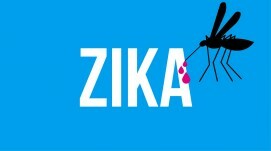 By clicking on this link: http://www.westnile.state.pa.us/surv.htm you can see the latest surveillance data and maps. REMINDER FROM CUMBERLAND COUNTY WNV PROGRAM: Warm and wet weather breeds mosquitoes! Be sure to check around your house weekly and dump containers holding water to ensure a bite-free summer. Please take time to visit our website to learn more about mosquitoes, our WNV program, and how to stay informed on adult spray events by signing up for “Notify Me” emails. Feel free to contact us with any questions or concerns. Zika is here to stay in the Americas, but it has not yet taken hold in Pennsylvania. About 160 Zika imported travel cases were identified in PA last year. After returning home from vacation in Zika infested areas, help prevent introduction of the virus into local mosquitoes by wearing bug spray and avoiding bites. Working together to keep mosquito populations low will be essential in our efforts to thwart this disease. The Asian Tiger Mosquito likes to lay eggs in old tires, tarps, or even a bottle cap full of water. If you can’t dump standing water, treat it with a BTI bacteria based product, such as Mosquito Dunks, found at local hardware stores. Please visit the county website to learn more about mosquitoes, our program, and how to sign up for “Notify Me” emails.